J.V. 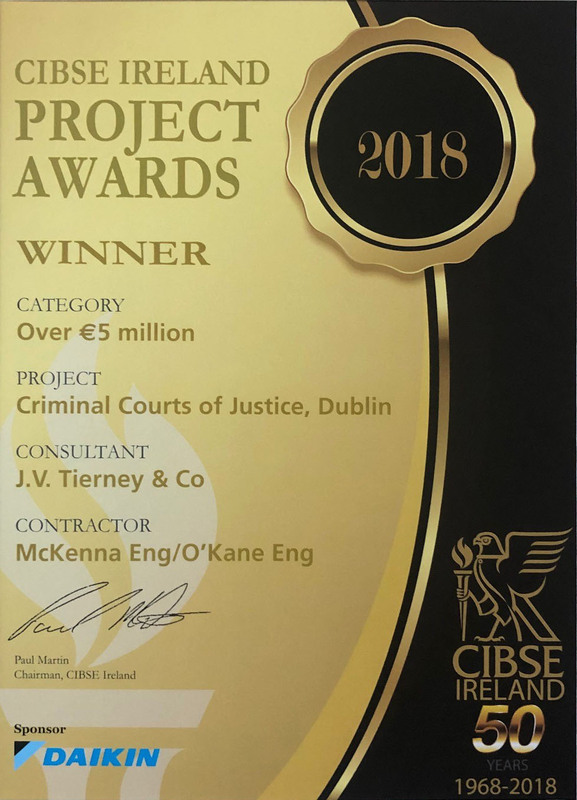 Tierney & Co. are very proud to be the winner of the Chartered Institute of Building Services Engineers (CIBSE) Ireland award for Building Services Design of the Criminal Courts of Justice Building, Parkgate St., Dublin, which was announced at the CIBSE 50th anniversary awards dinner, in the Clayton Hotel on the 30th November 2018. Colm Saul (Director - J.V. 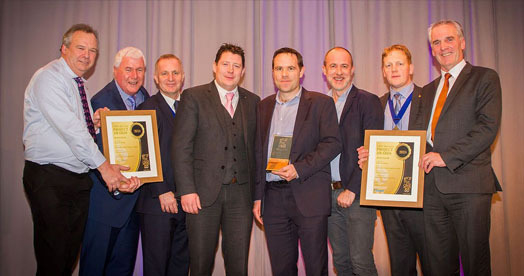 Tierney & Co.), Peter McGovern (Principal Architect - Henry J Lyons),Paul Martin (CIBSE Ireland President) & Joe Lee (Joint Managing Director – J.V. Tierney & Co.). The competition was to mark CIBSE’s presences in the Irish Built Environment Industry for the past 50 years. Consultants were offered the opportunity to put forward buildings that they considered innovative and challenging over the previous 50 years in 3 different categories. J.V. Tierney & Co. put forward the Criminal Courts of Justice Building, Dublin, for the Large Building Category and this in turn was shortlisted against 2 other excellent projects; The Restoration and Refurbishment of Adare Manor, and One Microsoft Place Dublin.We are delghted to have won this award.